Are you looking for a good hair extensions supplier for you or your business in Derby (Derbyshire)? There are many reasons why people like to get hair extensions. Sometimes we have to get a haircut to keep our hair strong and healthy and it may lead to an unpleasant outcome if we do not like how we look with shorter hair. Even if we like it, there may be an ocassion when we need or want to wear an elaborated hair style and our hair length is not enough. Either you are looking for clip in hair extensions for just one day or long lasting ones, here are some keys you need to know before going to hair extensions shops or calling to hair extensions suppliers for your hair salon in Derby (Derbyshire). 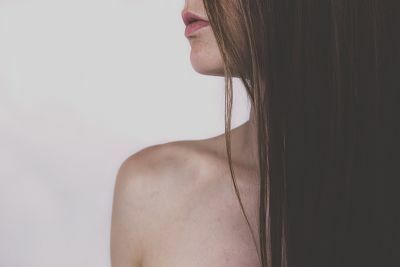 What kind of hair extensions should I look for in Derby (Derbyshire)? It depends on the results you are expecting. There is a wide variety of hair extensions and you have to mull over your preferences and budget. For a more natural result it is better to look for natural hair extensions. Clip in hair extensions: even if they were real human hair extensions they will still look fake. They are the cheapest hair extensions though. Maybe it's a good option if you only want to use them once in a while. Pre-bonded hair extensions: they are good hair extensions that look very natural. They are glued to your hair with keratin bonds. They can last up to 6 months if you take care of them. Sewn-in hair extensions: they are sewn to your own hear. You should have thick hair since thin hair may not handle them. We recommend them to women with curly hair. They look natural and can last quite a long time but you will have to visit your hairdresser almost once a month. Tape hair extensions: they look real and they might last up to 6 months even if you do not spend a lot of time on their maintenance. However they could star a little bit fake when your hair start growing. Whatever your choice is, remember to use right hair care products and tools to make your extensions last longer. In Infoisinfo we want to help you get good hair extensions in Derby (Derbyshire). That's why we've prepared a list of hair extensions supliers for you to choose. You can use the comments and valorations as a helpful guide.